We did it again! 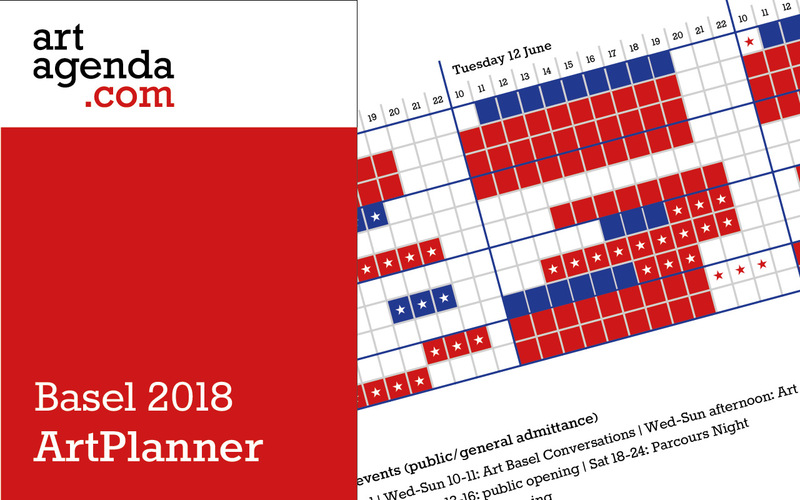 The ArtPlanner Basel 2018 provides a comprehensive overview on the show hours of the art fairs, as well as the current exhibitions and (special) opening hours of the most important art institutions in the Basel region. Produced as a leporello in “real pocket-size” A7 format, the ArtPlanner is your indispensable companion through the Basel Art Week! The guide is available for free at all Basel Tourismus outlets, at art fairs, and at many hotels and cultural locations throughout the city. A gift from artagenda.com to the art community. If you can’t wait for it, you can also download the full version as a PDF here.